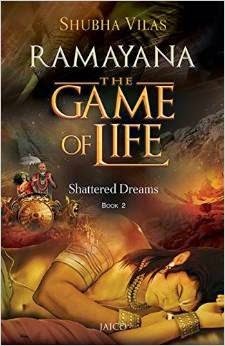 Thanks to BlogAdda Book Review club, I was fortunate enough to receive a copy of the latest sequel of “Ramayana, The Game of Life” by Shuba Vilas. The Game of Life is a unique novel that explains the story of Ramayana in a very simplified language added with a parallel explanation of the principles in today’s terms. “The most convenient way to handle a problem is to assume that the problem does not exist. Just like an ostrich buries its head in the sand in the face of a calamity it cannot handle, a man turns his face away from a calamity when unable to deal with it. This review is a part of the biggest BookReview Program Indian Bloggers. Participate now to get free books!